While the weather may not have got the memo, spring has sprung in my wardrobe, finally moving away from black. I am lusting after pastel shades, gorgeous floral prints and statement shoes and this months wishlist items embrace all of these. 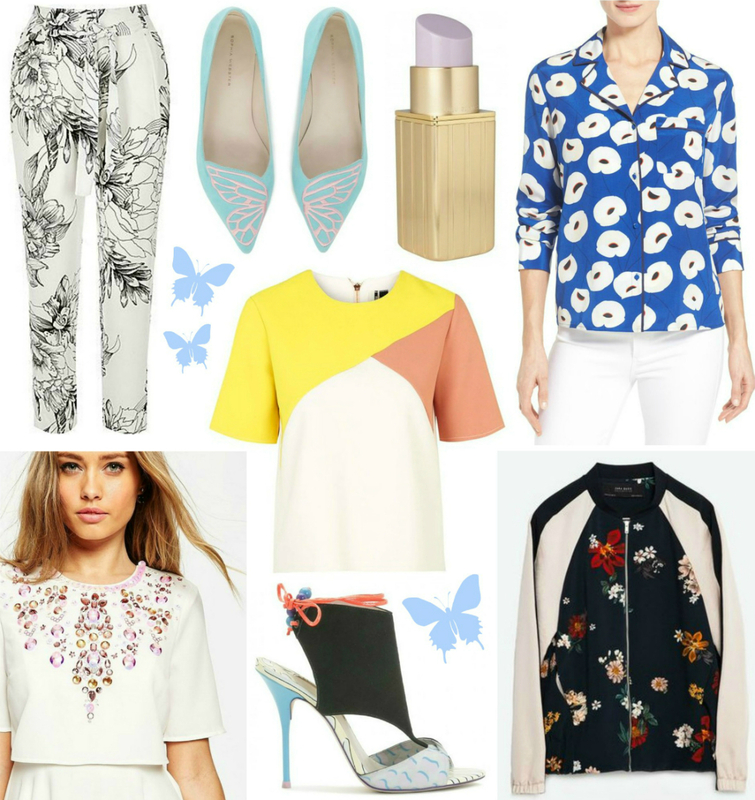 I love the gorgeous pink embellishment on the top of the ASOS white midi dress, the perfect pastel blue shade of these butterfly flats and the bold statement print on the silk shirt - part of the new Olivia Palermo collection (print also comes in a pair of matching silk trousers). First purchase may need to be the colour block tee from Topshop, yellow is not a colour i normally wear and while i wouldn't wear head to toe this subtle pop of the sunny shade would be perfect with black skinny jeans and heels for work.